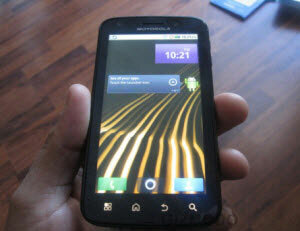 Motorola Olympus, one of the newest high-end Android smartphones from Motorola, re-emerged with a few new photos and this time it looks Motorola to use Android 2.2 Olympus Froyo with MotoBlur. Just like LG Star P990, Motorola Olympus MB860 uses the latest chip NVIDIA Tegra 2. Motorola Olympus is also equipped with camera with video recording capability and full HD 1080p, as seen in Figure Motorola Olympus has an HDMI port and microUSB port. Motorola will launch the Olympus MB860 in January 2011 in the United States through AT n T.